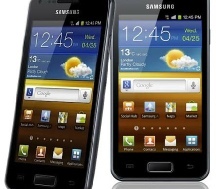 If your Samsung Galaxy™ Smart Phone has a broken screen or LCD Mountain Stream are here to repair your phone for you and return your repaired device to you promptly. The screen/digitiser and LCD on these devices are a fused unit. Basically they are glued together with absolute precision by the manufacturers. Although, technically, they can be separated and replaced individually this process is extremely painstaking and the chances of dust or air bubbles getting trapped between the two layers is high, as are the chances of damaging the LCD. For this reason it is better to replace the whole assembly using the highest quality replacement parts, which is what we do. ALL PRICES BELOW ARE FOR THE REPLACEMENT OF A COMPLETE NEW SAMSUNG TOUCH-SCREEN & LCD ASSEMBLY. PRICES ARE INCLUSIVE OF PARTS & LABOUR. GIVEN THE HIGH COST OF REPLACEMENT PARTS WE WILL REQUIRE PAYMENT IN FULL PRIOR TO REPAIR. WHERE DEBIT/CREDIT CARDS ARE USED FOR PAYMENT WE RESERVE THE RIGHT TO WAIT FOR THE PAYMENT TO CLEAR BEFORE ORDERING PARTS & COMMENCING REPAIRS.